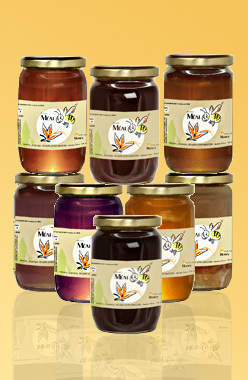 The Greek honey is famous for its high quality, excellent taste and magnificent flavour. No wonder the Greek honey is among t he Greek products with very high international recognition. The dry climate of Greece, the Greek variety of flora and fauna, as well as the traditional methods of beekeeping offer wonderful honey. It is well known to be rich in nutrients and valuable for the health. The Greek flora includes over 6,000 species. The bio-diversity of plant species is unique and has a significant percentage of endemic plants (plants that are found only in certain areas of the world.) An estimated 18% of all plant species in Greece are endemic. Many of these species are aromatic, medicinal herbs that positively affect the healing properties of the Greek honey. 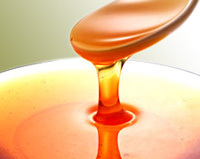 The Greek honey production accounts for 20,000 tons per year. There are now 23,000 beekeepers and 5,000 professionals who hold 1,400,000 bees In Greece; this adds up to 10.8% of overall EU production. Australia, Japan, Sweden and the Netherlands.